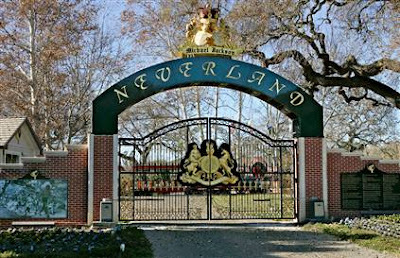 ellehermansen: Neverland Ranch: What Would Michael Think? While walking the main streets of Berlin, I checked out the hotel where Michael Jackson decided to show off baby "Blanket", dangling out of Hotel Adlon in 2002. I mean, it was a little weird and MJ-esque but it was FAR from bad in my opinion. It was for like 2 seconds - and yes, it could have been worse, but it wasn't. He always wanted to please his fans, see them happy and feel involved in his personal life at that moment. Unfortunately, his big dreams of Neverland were taken away and Neverwas when he was wrongfully judged, because he enjoyed and loved children and folk of all ages. He had the money to share with the world, but unfortunately the wrong people got greedy and set Mr. Peterpan up for a lot of things. I went to Berlin to make my own peace with the king. 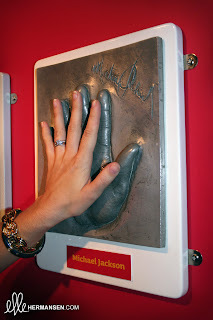 I touched his metal medium of a hand to the other world to get the lowdown of what (I felt) he could be thinking of the whole thing. 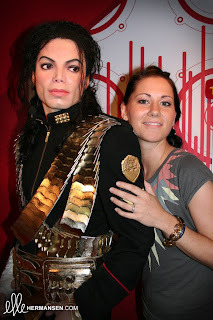 I feel if Michael was still around now, he would have eventually opened the park for the right reasons, for all of his fans, as he got older. Maybe as a last horryah - sort of. But it was tainted for him at this point of his life and it was just too soon for him to work on anything there. I can understand there is a bit of debt that needs to be taken care of after his death and I am sure it is the very reason why Neverland is reopening. However, it feels as if it's happening for all the wrong reasons. The money-hungry people that brought him down in the first place still bring down the remaining spirit and essence of him. If done tastefully, maybe it will work. Hopefully it will be a beautiful and epic tribute for all of the fans. If they can find peace within the park and help them move on, then the park has served and done its job. Hopefully, Michael would be happy with that.